Sonos, the name always been associated with premium-quality home theater systems, released another stunning product to market recently. Latest bundle from the well-known brand includes mighty speaker bar, surround sound speakers and a subwoofer. 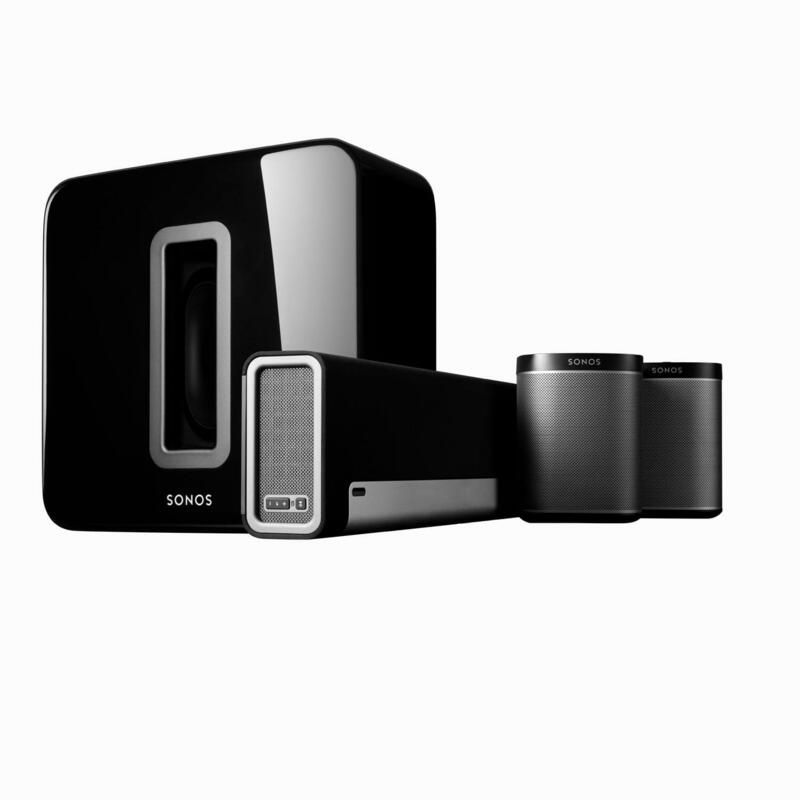 Sonos 5.1 Home Theater Starter Set is priced very competitively, considering its specifications and matching models from revel brands. Though the bundle comes with a tag ‘Starter Set’, the pieces come in the box are powerful enough for a sophisticated home theater setup. Here is our detailed Sonos 5.1 Home Theater Starter Set Review to explore the products in the bundle, their features, performance. In addition, to help you decide whether this bundle can be your next HT system of choice. The bundle comes with Sonos PLAYBAR, two PLAY:1 speakers and wireless Subwoofer. The PLAYBAR comes with nine mighty speakers inside, easy to pair with TV using a single cord. Play music from iTunes, Amazon Prime Music, Pandora, Spotify and other streaming services. SUB compatible with PLAY:1, PLAY:3, PLAY:5 and PLAYBAR for future upgrades. Multi-room music playback. Works with existing home Wi-Fi. The elegantly designed Sonos PLAYBAR sports nine speakers with mighty amplification, powerful enough to fill the room with high fidelity sound. The sleek and stylish sound bar produces clear and detailed sound even at high volumes; we did not notice any kind of noise or buzz. We were very happy with the installation method; the speaker bar needs just two wires to be connected, a power cord and an optical cable. The sound bar also supports wireless music streaming and easy to control via any IR remote or smartphones. The two PLAY:1 speakers that comes along with the bundle, could be used as rear speakers or for a multi-room setup. The models are capable of playing as standalone speakers. Thanks to Sonos, these speakers too are wireless supported that uses existing Wi-Fi and capable of music streaming from multiple services. These compact speakers looks premium and produces room filling sound. Deep bass from the wireless SUB is just icing on the cake. The company has bundled a good combination of its products to offer amazing Home Theater audio experience. Overall, the new Sonos 5.1 Home Theater Starter Set comes with compact and yet powerful speakers and a wireless sub, which will immerse you in rich surround sound experience. Performance of the speaker systems is up to the mark and are designed to uphold the company’s legacy. The company has done a brilliant job by bundling its top class products and offering at a reasonable price. 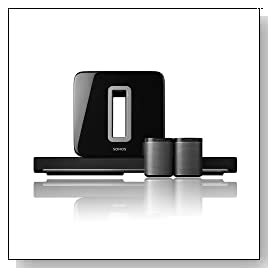 If you have enough budget and only looking for a sophisticated home theater setup, we strongly recommend considering Sonos 5.1 Home Theater Starter Set.